WEEE (Waste Electrical and Electronic Equipment) is anything that has a plug or a battery and is at the end of its useful life. In the house, old and broken fridges and washing machines are examples but don’t forget the little guys! Remote controls, batteries, electric toothbrushes, electrical tools, toys and even your old bicycle lamps can also be recycled! You would be surprised what items you have lying around the house that count as WEEE when they are no longer able to be used. You can recycle all electrical goods from kitchen appliances, such as washing machines, fridges, dishwashers, cookers etc., to TVs, laptops, kettles, toasters to computers, monitors and keyboards and more. You can even recycle used batteries. We will accept and recycle anything with a plug or battery free of charge. Do I need to have made a purchase at Jack Fitzgerald Electrical to avail of free recycling? 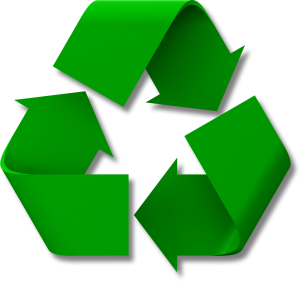 No, you can recycle your old appliances with us even if you have not made a purchase with us. Just contact us or arrange to call in to us with your old appliance and we will take care of it for you. How do I return my old appliance to be recycled? You can return any old small appliance to our shop in Howley’s Quay, Limerick , if you are returning a large appliance please contact us or call (061)412555 and we will arrange a time that best suits you to return it. Will you collect my old appliance when I order for delivery? If you are getting a new appliance delivered our Jack Fitzgerald Electrical delivery driver will take your old appliance back to be recycled. If you are getting a delivery from our transport partner the old appliance must be disconnected, clean and ready for the driver at the time of delivery. (collection does not apply to An Post deliveries). When returning an old appliance for recycling on delivery, the product must be of similar type or have performed the same function as the newly purchased product. Do you recycle used batteries? Yes, we do. You can recycle your old batteries by dropping them into our shop in Howley’s Quay, Limerick. We accept AA, AAA, C or D and flat batteries such as those used in watches and toys. How much does recycling cost? 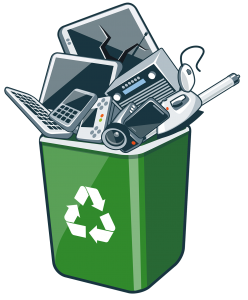 There is no charge to recycle your old appliances with Jack Fitzgerald Electrical. Why should I recycle with Jack Fitzgerald Electrical? Jack Fitzgerald Electrical will ensure your old appliance is recycled correctly to reduce the harmful effects on the environment caused by toxins contained within electrical goods. The recycling process will also help conserve natural resources. Reduce the amount of waste going to landfill. Save the planet by reducing the effects of the hazardous materials in WEEE. Conserve natural resources as materials such as plastics, glass and metals are recovered for use again in industry. If you have any questions relating to our WEEE Recycling please contact us and we will be happy to answer any questions you may have.